This weekend is the first home game of the season for Wasps FC Ladies as they take on Loughborough lightning at Ealing Trailfinders. 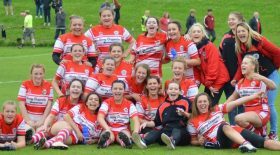 Giselle Mather has named a stinger of a team who will be looking to continue on from their first performance on the season and gain home win live on Sky. Last week saw a close encounter away to Bristol Bears where newcomer Molly, assisted by fellow back row Liz Crake and speedy wingers Abby Dow and Tova Derk all crossed the line to secure a bonus point win of 32-17. Your team this week sees some new faces in the starting line up, with Kasey Allen, Megan Horwood, Helena Ironton and Amy Wilson Hardy all making their starting debuts this season! Captain Kate Alder will lead again from 12 and celebrates her 50th cap for the black and gold club in style! Loughborough Lightning were new to the premiership set up last season, but that put no stop to their presence on the pitch- a strong squad with plenty of spark. 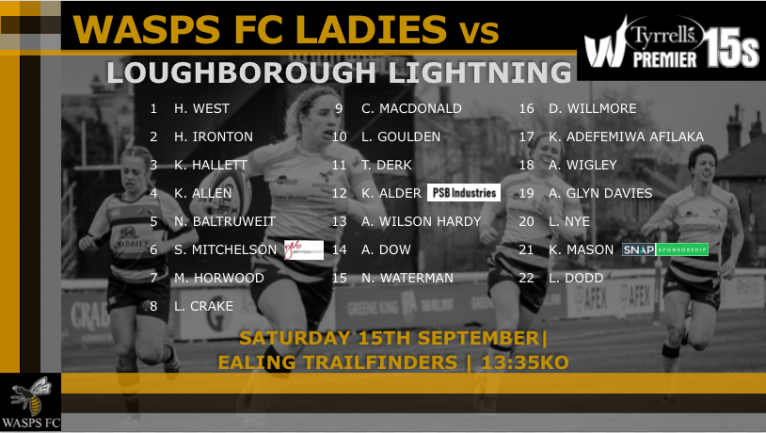 Wasps FC Ladies are excited to face them and we hope to see you all down at Ealing Trailfinders.